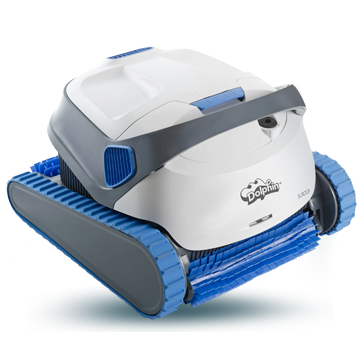 Dolphin robotic pool cleaners clean any type or shape of pool -- efficiently and thoroughly. 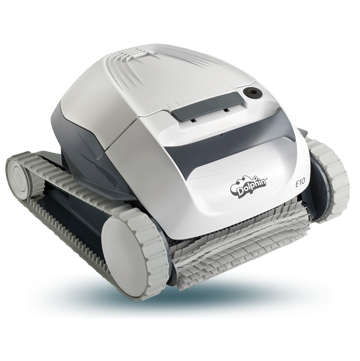 No other automatic, residential pool cleaner comes close to Dolphin robots' ease of use, performance and reliability – delivering years of cost effective pool cleaning. Dolphin pool cleaners offer the most efficient and cost-effective method for achieving a consistently clean pool. 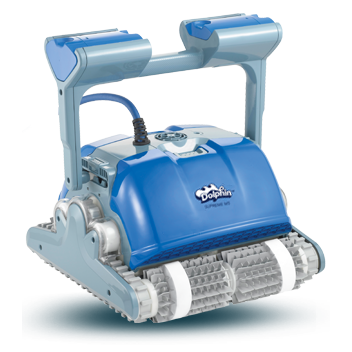 Unlike pressure and suction pool cleaners, which depend on an external pump and filter, Dolphin robotic pool cleaners get their power from a standard outlet and have their own pool filtration system. Moving freely around the pool, Dolphin robots remove debris and dust from the water while scrubbing the pool floor, walls and waterline with an advanced pool brushing system.